How Blog Gem, a PSD template is beneficial for you? 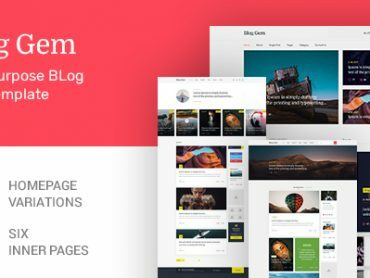 Blog Gem is PSD template for responsive blog sites. It has a clean, modern and creative design suitable for all type of blog and magazine style websites. Blog Gem is best to use for blog, travel, informative, personal, fashion, food, video and lifestyle blogs. These PSDs are the perfect combination of creativity and professionalism with simplicity on each page.